No new post today. I had insomnia last night & didn't get to sleep until after 5:30am. The sun was up. I was awakened by the sound of the weed whacker outside my window at 10:30am and of course couldn't go back to sleep that late in the morning. So, I got less than 5 hours sleep. I need 8 but I can function on 7. I cannot function on less than 7, under any circumstances. So, that means this entire day is shot. I won't be able to tackle anything on my "to do" list today, which is frustrating. Even worse is that I was intending to go to yoga at 7:30am and of course could not do that. If I try to exercise or really do much of anything without a bare minimum of 7 hours sleep, it makes me ill and aggravates my arrhythmia. 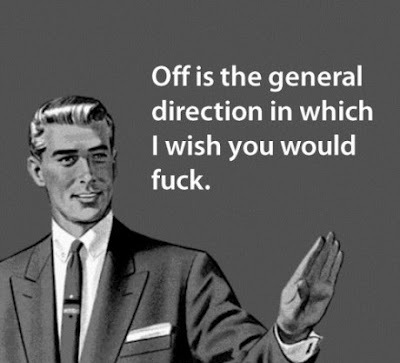 I should be doing so many things, not the least of which is applying for jobs, so, I am not in a good mood today. Worst insomnia ever. I know the root cause is anxiety about money and it may have been exacerbated by the weather. I love hot weather; heat doesn't bother me but, supposedly, our bodies sleep better in cool rooms and it was 99F yesterday and didn't cool down much overnight. My house usually remains cool all summer -- too cool, in fact, as I have had to put the heat on occasionally in cold, damp summers past -- but I still wouldn't have an air conditioner even if it didn't. I hate them. I'd much rather be hot than cold, although apparently my sleep is affected even if I prefer being warm. To add insult to injury, the landlady's grandson ran over some of my flowers when he mowed the lawn. I had carefully nurtured nasturtiums from seed, protected them from the local rabbits, kept them watered during the current drought, and he mowed them down right to the soil. They had just started to bud yesterday. He knew I was angry but I couldn't say anything as I can't afford to pay my rent. Besides, he is the landlady's grandson. It's not like I dare rip him a new one in any situation. I hate not having my own farm! I need my own place, where I can have as many animals as I want, and plant whatever I want, where I want, and restore everything with the best quality materials available. Neither of my parents has ever owned property so you'd think I'd be used to rentals but I am not the renting type. I crave control and I am extremely picky about taste and quality and historic preservation and environmental responsibility. I spend a fair amount of time for a broke person with no house of my own looking at top-of-the-line appliances, retro-styled of course, and countertops and jetted tubs and natural-filtration pools and fantasizing about everything I am going to put in my house when money is no longer an object. I just wish that day would come yesterday. I am tired of renting and waiting to be rich. I don't want a job; I just want money. If I had money, I'd be too busy to work. I would be working on my farm and breeding and training my horses, traveling, raising a family, growing my own food. I'd even learn to sew and make my own clothes if I were rich enough. I'd write fiction and cookbooks and design knitting patterns, because I'd never be distracted by worries about money. I'd finish my PhD and publish in my discipline because I wouldn't be too run down from work to focus on it. I'd study voice again and finally have the leisure to practice and really try to make it as an opera singer, see how far my talents and accelerated study of vocal technique would take me. I should have been born into a wealthy family, then I could have done all this by now. Aristocratic and titled would be ideal. I'd love to be "Lady" or "Her Royal Highness." Well, wouldn't you? C'mon. I think I made a mistake when I was younger. I vowed never to get married, never to have children, never to be financially dependent upon anyone, and to be with someone only for love. What I should have realized is that financial stability is the most important thing in life and that someday, when it was too late, I would want a family of my own. I should have found the richest guy available and married him, regardless of considerations like love or compatibility. 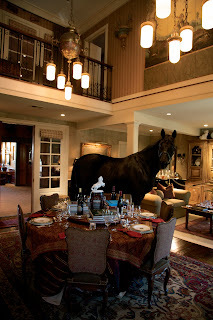 Then I'd have my horse farm, my friesians, my animal rescue, my restored historic house, and even children, perhaps. Thinking I could earn enough to purchase these things on my own (er, not the children) was foolhardy, naïve in the extreme. My mother struggled to raise me as a single mom, working long hours at a job she hated to keep a roof over our heads and food on the table by herself. She always warned me never to become financially dependent upon anyone and never to have children since they are such a financial burden. I took that message to heart and I still don't believe it is ever a good idea to be financially dependent upon someone else, but the missing piece is that you can't make it on your own. The world is simply too expensive. You can't start out poor and claw your way up to being rich on your own. You need family money to help you start or you need to marry money. Or you need to get very lucky, making it big in some lucrative field, but that is a fairy tale for a fortunate few. No, for most of us, to make money you have to start out with money, and lots of it. The farm I dream of will cost a bundle, and it isn't possible for me to earn enough money to buy it. I don't think winning the lottery is a good financial plan so, what to do? All I want is money. When you don't have it, nothing else matters. 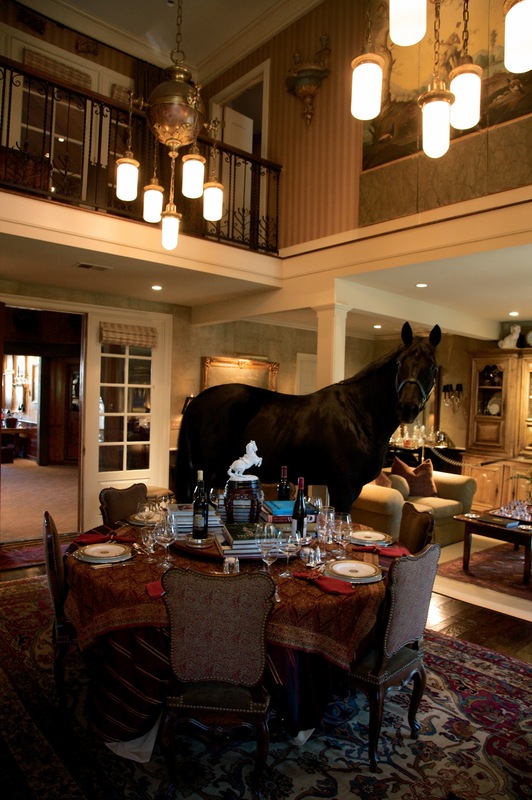 This is not my desired style of house; it just amuses me that the horse is in the dining room.